To raise awareness among pregnant women about the fact that pregnant or breastfeeding should not drink alcohol. The decision to put the pregnancy logo on brand packaging was taken in December 2006. The logo gradually appeared on more and more labels as the stocks were renewed. 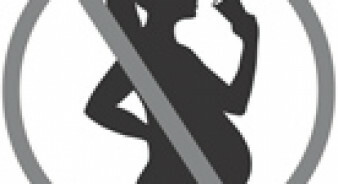 By the end of 2008, all bottles wine and spirits bottles distributed in the EU bore a pregnant woman pictogram on the back label. Every year more than 550 million bottles throughout the EU carry the logo. 100% of bottles distributed in E.U carry the pregnant women logo (the data has been audited by external auditors). Germany: 3% have seen the logo; 2% don't know if they have and 95% have never seen it. Spain: 5% have seen the logo; 4% don't know if they have and 91% have never seen it. Poland: 6% have seen the logo; 6% don't know if they have and 88% have never seen it. "The logo is easy to understand": 93% in Spain and Germany and 97% in Poland. "It is a good idea for alcoholic beverages to carry the logo": 85% in Germany; 90% in Spain and 96% in Poland. "I would notice this logo on packaging": 65% in Germany; 71% in Spain and 76% in Poland. "The logo is likely to raise awareness that women should not drink during pregnancy": 63% in Germany; 77% in Spain and 96% in Poland.